Dutch Coffeeshops are under increasing pressure and scrutiny over the amount of cannabis stock they can hold, due to an ever growing demand for the drug. 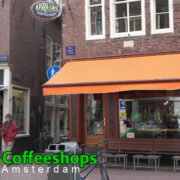 In general coffeeshops are allowed a maximum of 500 grams, which sells quickly in a busy shop. The supplier, known as a ‘runners’, may find themselves resupplying the same shop many times a day, risking arrest with every run, if caught in the street, or at their stash pad. The paradoxical situation revolves around the back-door supply chain, which is illegal but tolerated under strict conditions, together with the question of where to store the stock (usually inside a secret room). Both these grey areas in the law leave coffeeshop owners in constant uncertainty, with the ongoing threat of prosecution. While the problem of nuisance in the cities increases as coffeeshops are closed. Welcome to the paradox of Dutch coffeeshop culture. 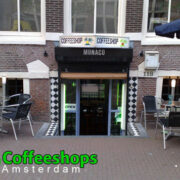 Coffeeshop ‘nemo’ in Rotterdam was the largest in the city, and it remains closed after two years since the authorities discovered excess amount of stock on the premises. “After the municipality decided that no coffeeshops were allowed within a 250-meter radius of the school, 16 were closed. Many customers then came to Nemo. That’s why I had such a large stock.” said Mr. Ilonka Kamans, Lawyer representing coffeeshop Nemo. Maurice Veldman, a lawyer in Amsterdam highlights a similar need for adjusting the stock limits in Amsterdam and points out that the municipalities of Utrecht and Maastricht allow for one kilo of cannabis stock, due to precisely this higher demand that is caused by the closure of so many coffeeshops. “The increase in demand is largely due to the closure of coffee shops […]”, Veldman said.